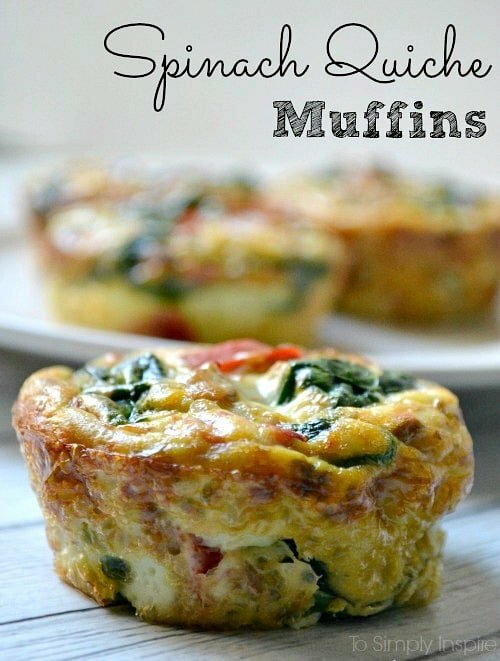 Definitely love the version with egg whites! 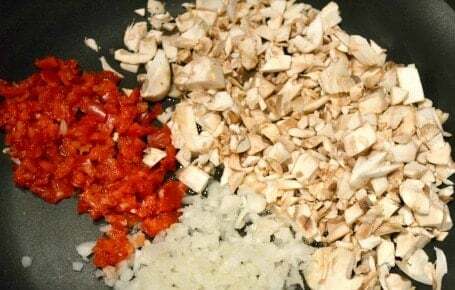 I use more pepper and onions since I didn’t put meat in mine. Looks good! 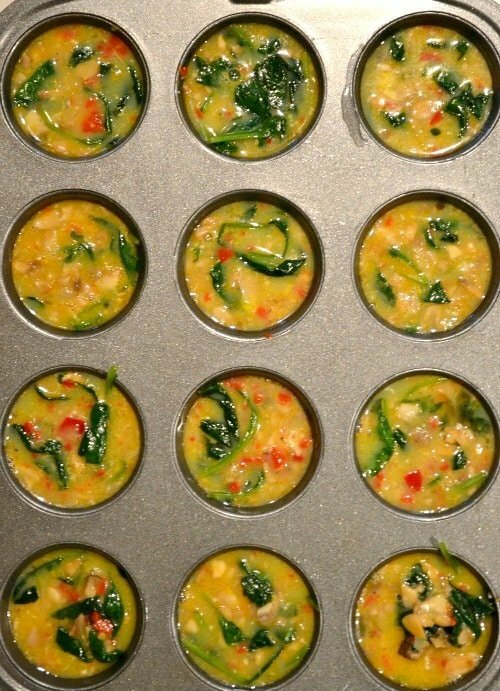 Do you have to grease the muffin tins before baking? Goоd info. Lucky me I discovered youг website by accident (stumbleupon). Ӏ’ve savd it for later! 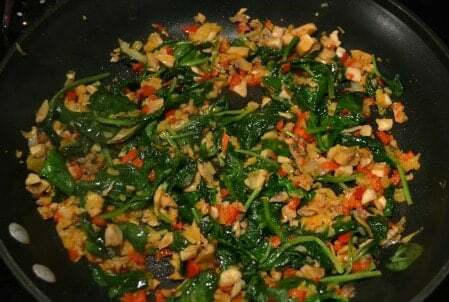 Made these with 1/2 mushrooms as I was adding the onion, spinach 1 slice of precooked bacon and red pepper. Would have been so bland, but I’m a cook, so added salt and pepper and a dash of cayenne pepper. Yum. So good! I added turkey sausage and some smokehouse maple seasoning along with red potatoes. Yum! Oh yum! I need to add the turkey sausage as well. That sounds fabulous! Hi, are these in regular muffin pans or mini? I used regular and only got 7. Maybe I need to fill less. Also, can you freeze? Thank you so much! once I make them, can I freeze them? Any idea how long they can stay in the refridgerator? How long to microwave to reheat? Hi Jayme. Yes, they do freeze great. I would eat them with 4 days of making them. I just pop them in the microwave for about 30-40 seconds and they are perfect. 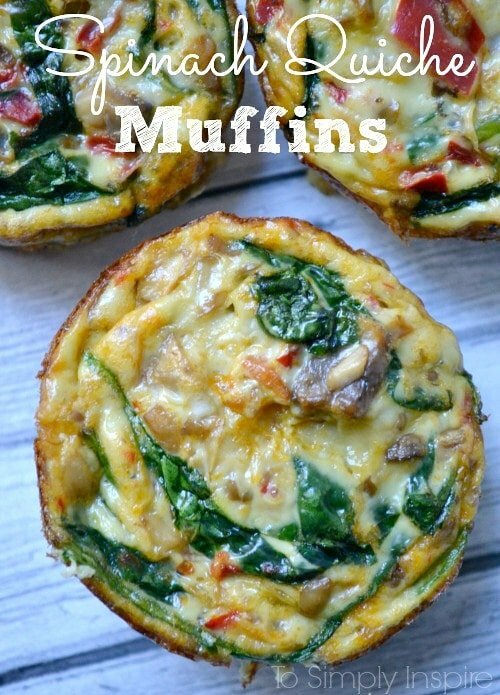 Oh how I wish I had those for breakfast this morning Sherri, they look delicious! !